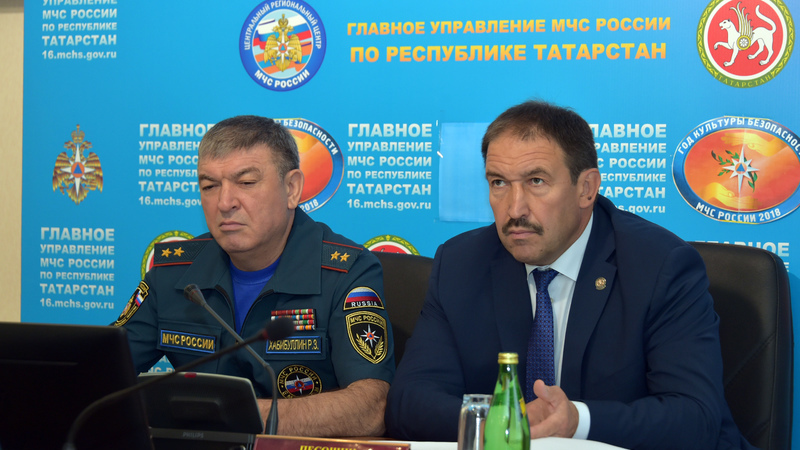 On July 24, Acting Tatarstan President Aleksey Pesoshin took part in a teleconference held by Minister of Emergency Situations of Russia Yvgeny Zinichev on interaction between the Ministry of Emergency Situations of Russia and Russian entities to ensure integrated public safety. The Minister stressed that Russia is at risk of almost all unfavorable and dangerous natural phenomena. The greatest damage is caused by natural fires and floods. In 2017 alone, as a result of flooding and wildfires nearly 42,000 people were affected in more than nine regions of Russia. To eliminate the consequences, more than 2 billion roubles were allocated from the federal budget. Zinichev noted that a well-established system has been developed in the country to effectively respond to emergencies. However, it is necessary to redirect the main efforts from response to prevention, using modern information technologies, for example, the space monitoring system. According to him, a systematic approach is required to conduct preparatory activities in the regions that are at risk of natural disasters. Special attention should be given to fire and engineering protection, reinforcing support embankments and developing buildings in the regions with a minimal risk of flooding. Zinichev drew attention to the fact that on the instructions of the Russian President the heads of regions should lead this work at the local level as chairmen of the Commissions for Emergency Situations and Providing Fire Safety. Some governors reported to the Minister on the development of the system of anti-crisis management at the municipal level. Particular attention was paid to the introduction of the system for calling emergency services using the single number "112" and the Safe City hardware and software complex.